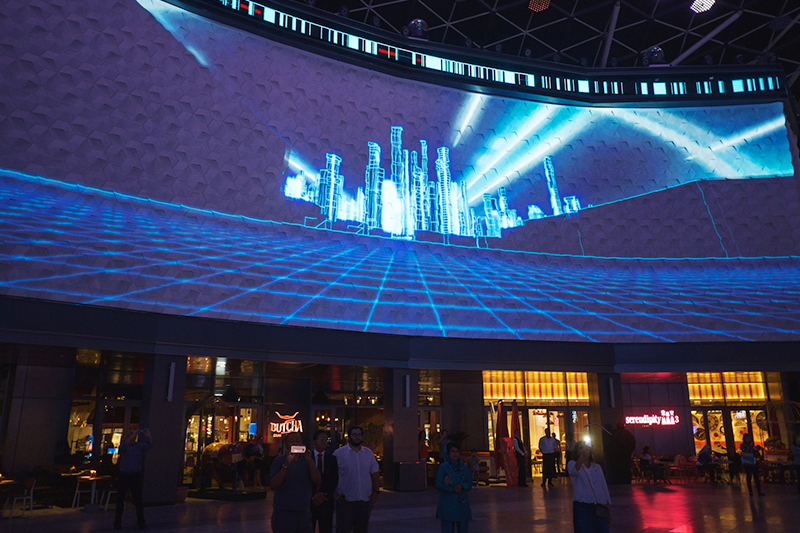 Making its mark as Dubai’s latest shopping destination, City Walk presents an impressive visual feast in multimedia for its visitors. 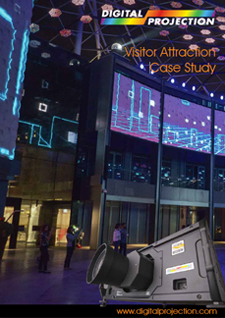 Amongst a dizzying range of digital media elements combined to deliver more than 100 million pixels, a total of 30 Digital Projection projectors form the backbone of the destination’s jaw-dropping connected displays. 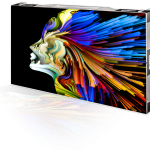 The scope of the project grew rapidly in ambition. 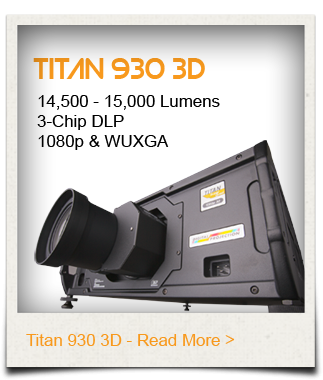 The Digital Projection projectors – all from the Titan range – were initially specified by Dubai integrator RDK International following ‘proof of concept’ demonstrations by the Digital Projection Middle East team. However, to ensure a holistic integration of all the individual features planned for the destination, Float4, a Montreal studio specialising in digital experiences was brought in to oversee the project. In turn, Float4 employed a fellow Montreal company XYZ Cultural Technology, which handled much of the system design and integration required. 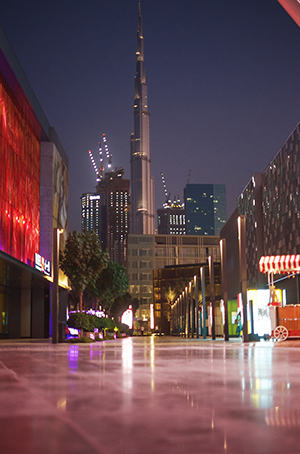 Owned by Dubai-based holding company Meraas, City Walk is comprised of a network of streets in Dubai containing cafes, restaurants, shops, entertainment areas and even a gaming park – surrounding a central plaza complete with water feature. 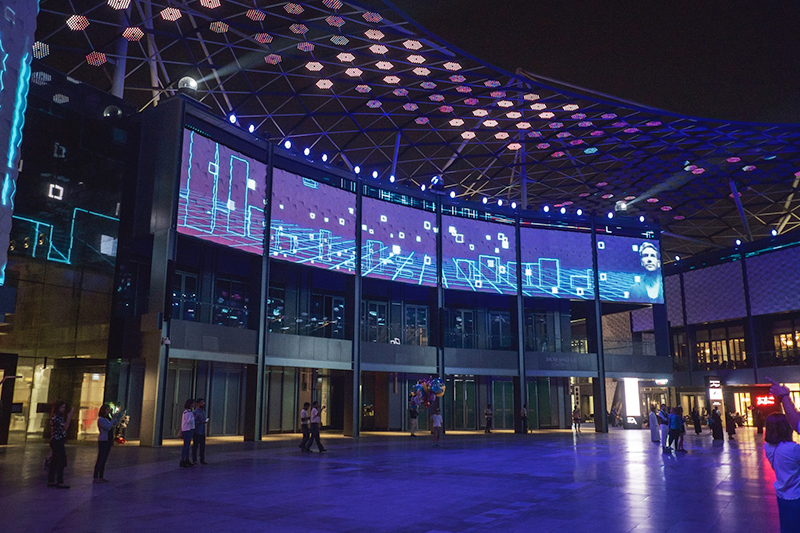 The vast digital canvas that unites the area is divided into three sections: An entrance hosts a vast LED screen feature named ‘The Gateway’; which leads into ‘Show Street’, a walkway flanked by retail and restaurant spaces; which in turn opens out on to the central area and entertainment hub: Place de Lumière. On Show Street, 12 Digital Projection TITAN 930, 15,000 lumen, WUXGA projectors, housed in Tempest enclosures, beam down onto the floor. The projection combines with LED elements running along the street and LED strips, about 50 pixels high, which are large enough to show moving images. Shows at City Walk take place at regular intervals every evening. A punchy sound system fires up and one of three shows created by Float4 plays across the facades of buildings and LED displays. 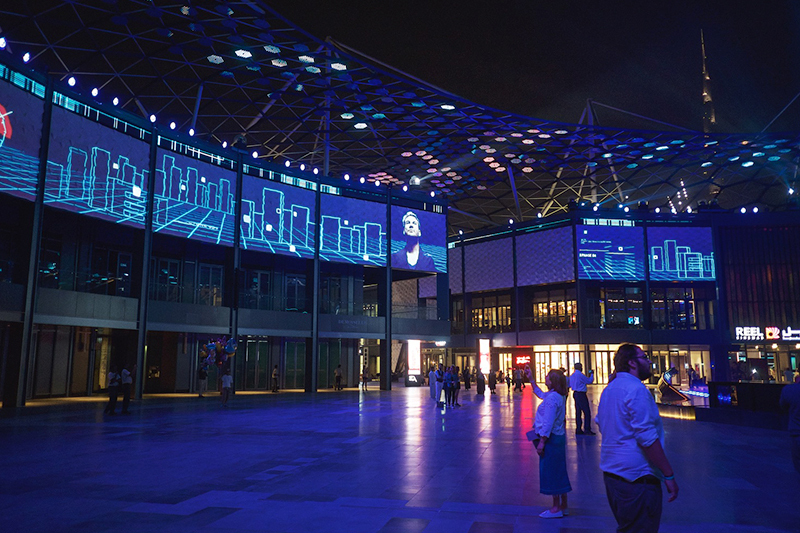 Digital Projection Titan units were again selected for the façade projections with a total of 18 TITAN 930 projectors mounted around the plaza. 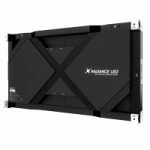 These combine with LED screens and about 120 lighting features to create one digital canvas. At this point the area’s water feature also comes to life and ‘Show Street’ and ‘The Gateway’ play content based on the aesthetic of the show. “All those elements give us a lot of depth to create these shows,” says Simionescu. This case study was also featured in inAVate Magazine and can be found here.